Years ago, Benjamin Franklin invented the rocking chair, blessing countless generations with a chair that is fun and comfortable to sit in. I have added a personal touch to this timeless classic, while offering custom options to ensure the chair fits your dimensions perfectly. 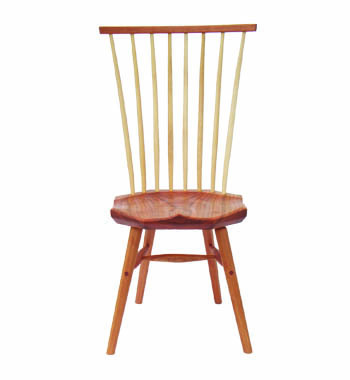 My rocking chairs are carefully handcrafted and add an elegant appeal to any home. Moreover, they are extremely comfortable and feature a flexible back and a methodical rock. Many owners have complimented the look of the rockers, which are laminated together with contrasting wood, enhancing the strength and the overall appeal in the process. Each piece I craft is built to last, and made to rock. 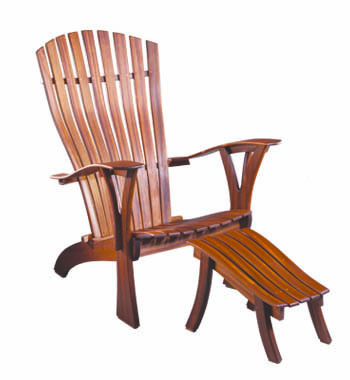 Many people choose to make the rocking chair a family heirloom so let's craft your custom rocker today. My goal is to craft a chair to meet your every like, need and want (within reason). 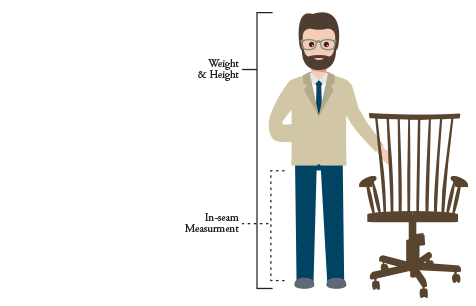 We talk about you, your measurements, your style, and your choice of wood, then I hand-make your chair from scratch to your exact specification and your complete satisfaction. 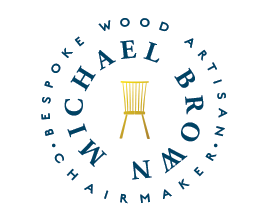 If you would like to learn more about a custom handcrafted, yet contemporary Windsor chair, please call 252-249-1348 or visit my studio in Grantsboro, North Carolina. Dimensions: Made to fit your measurements, right height, right width, right depth, made custom just for you for a lifetime. When you call please take note of your height, inseam measurement, and weight. 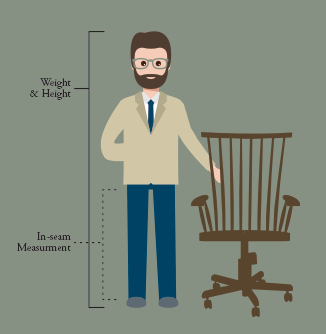 Shipping: Chairs are shipped freight, nationally and internationally. For a shipping quote please contact me. Delivery to a residence usually costs an additional $40. Wood Choices: Spindles: Spindles need to be black walnut or white ash. 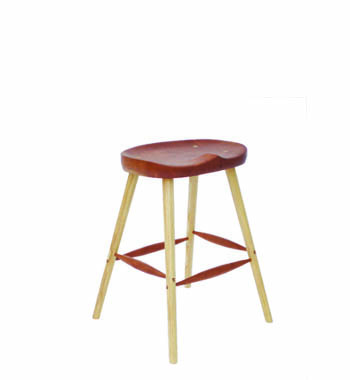 Spindles and legs are wedged with a contrasting wood which provides the best joint structurally and is very timeless. SEAT & Horizontals: Whatever other American hardwood or sustainable harvested mahogany you desire. Take a look at some wood options here. Deposit: A deposit of 50% is required at the time of the order, to hold your start date. You will be contacted upon completion of your order, to give you shipping/delivery information, and balance due. Timeframe: I generally have a 16-week backlog. Your satisfaction will merely mirror mine. Call me today and order your handmade family heirloom. If you are looking for something that you have not seen here, let's plan your project together. If you want to talk now just give me a call and we can get started or fill out the form below. I really like to talk to you to find out a little bit more about you, what you want in a chair or handcrafted furniture, that way we make it fit you and your space so calling me is the fastest way to get a response.